ÉLASTICITÉ project is based on an artistic research which is going to take shape through a series of sculptures and installations. 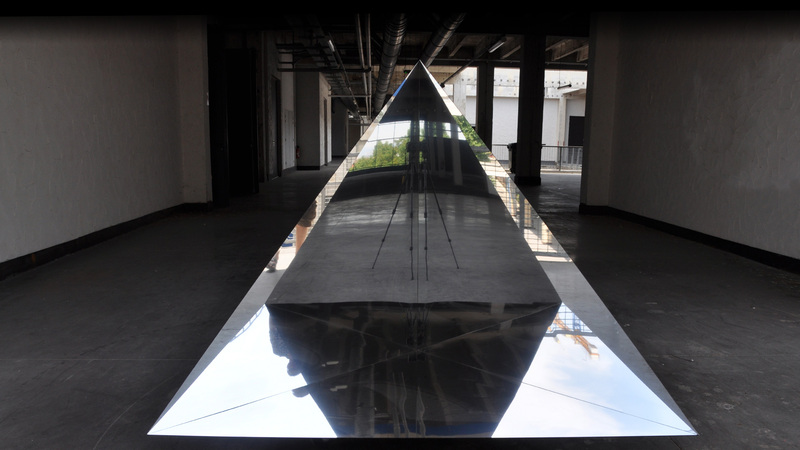 The diverse creations consist of geometrical objects made of reflection and transparent material. The shape and volume of these objects are related to layout logics that can be found in the nature. Around the artworks, the structured and organized space causes the emergence of new visions of surroundings. Multiple points of view are concentrated in the public vision field, as if many layers appeared. Thus, this environment concentration generates impalpable spaces. The addition of material and immaterial, of real and virtual, composes a new space which varies from expansion to concentration according to the point of view. This project is realized in collaboration with Laurent Perrinet, Neuroscientist at Institute of Neurosciences of la Timone / CNRS, Marseille.